A 34-year-old woman was banned from driving for 24 months last Wednesday at Craigavon Magistrates Court. Alana Lucas, Tartaraghan Road, Portadown, was also fined £400 and ordered to pay a £15 offender’s for driving while unfit through drink or drugs on July 16 last year. For driving without due care and attention she was also fined £100. 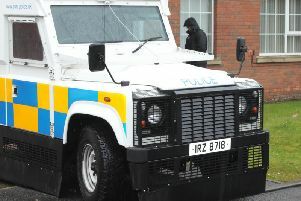 The court heard that police went to an address in Portadown. Lucas had been involved in a road traffic collision and was agitated and nervous but a breath test was negative. She was taken to hospital where a blood sample was taken. At the scene of the accident on the Dungannon Road police found class A and B drugs and prescription medication around the car.